“Fine but I’m staying here,” I pouted, resting my folded arms on the fence. I huffed as I watched him walk away. You better not be, five minutes and I’m gone. I watched in terror as a black stallion made its way over to me. My body froze and I found myself staring into deep black eyes. I gazed, entranced, at my reflection peering back at me. A fitted red dress and hair styled to perfection, but there was more, he saw me. The sadness in my eyes, the despair, and loneliness that I kept hidden. It was as if he could see into my very being. He saw the longing I had to leave it all behind. He nudged his head towards me and without thinking, I placed my hand on his soft mane, stroking my fingers through it. That’s when I felt it, the emotion. He too was in pain and he too wanted to leave it all behind. We were connected in that moment, two souls longing for a release. Tears spilled over onto my cheeks as I gazed deep into his eyes. So much sorrow and pain, I felt it and I knew he felt mine too. I wanted to end his suffering and I wanted to release him from the pain and torture he endured. As our eyes connected I knew what I had to do. I bought him that day. Taking him home was the greatest gift I had ever given myself. Two souls connected and two hearts mended. As I look into his eyes today I see him and he sees me. No longer lonely and in pain, no longer craving death’s touch. Now I feel love and a sense of belonging. 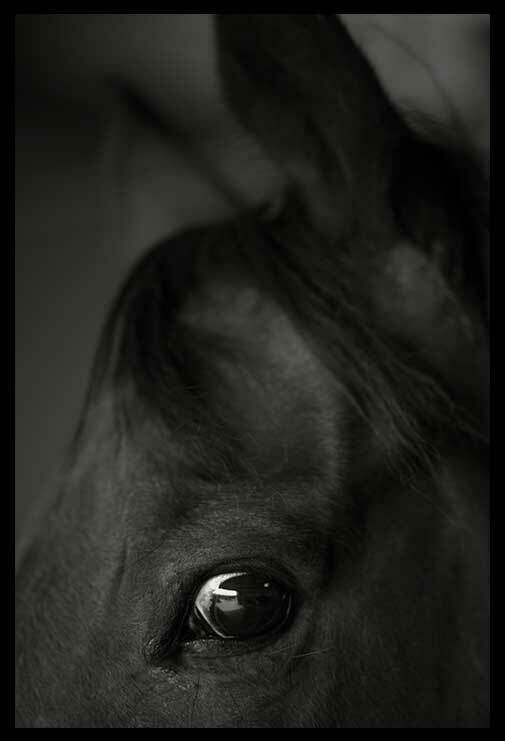 He brought me back to life, my black beauty, and in return, I gave life back to him.